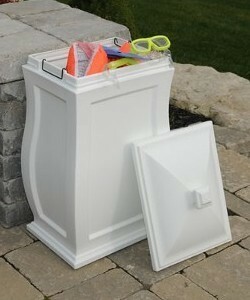 Mayne outdoor storage bins are stylish, practical and have many functions. 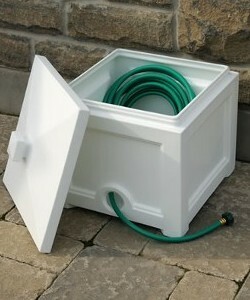 They can be used for storing outdoor toys, pool supplies, as a trash bin, bird or animal feed, or to store salt in the winter. 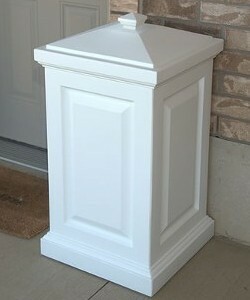 Our multi-purpose storage bin offers a perfect blend of style and function. 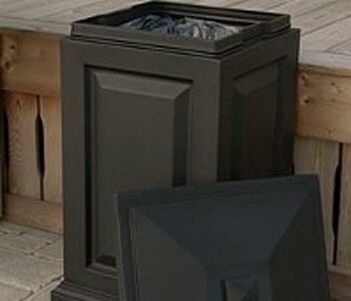 The Berkshire is ideal for a backyard waste bin and includes a set of hooks to hang your waste bag. This storage bin is a great way to hide children’s toys, gardening tools, bird seed, or bags of salt for the winter months. Our multi-purpose storage bin offers a perfect blend of style and function. 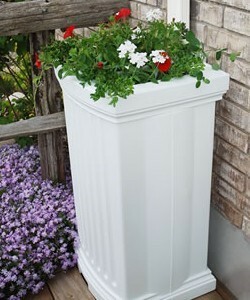 The Mansfield is ideal for a backyard waste bin and includes a set of hooks to hang your waste bag. This storage bin is a great way to hide children’s toys, gardening tools, bird seed, or bags of salt for the winter months.